Make a living, create your own schedule and be the highlight of someone’s day by teaching yoga in office settings. Skip the hours of working for free and auditioning for studio jobs that pay $20 a class (if you’re lucky!). 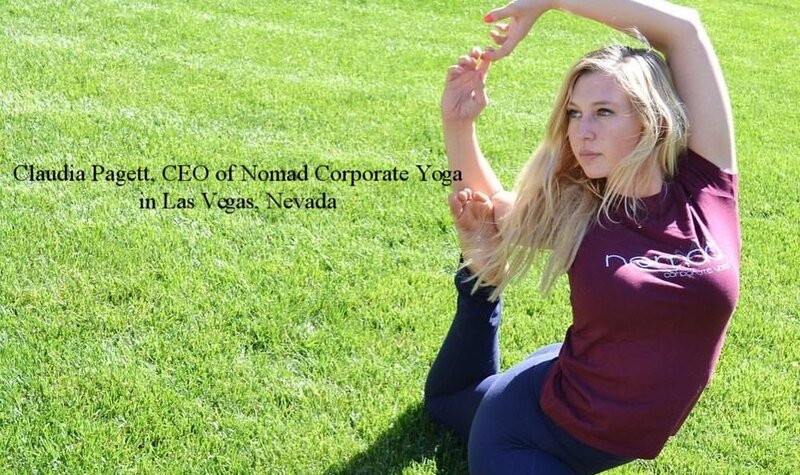 Corporate yoga, or office yoga, is a growing and profitable way to make a living as a yoga instructor! With healthy living at work becoming more and more important, new wellness budgets are an untapped market. Get into teaching office yoga, and set yourself apart as an expert. With this online class, you’ll learn everything you need to know to create your own profitable office yoga business. You’ll emerge from this class knowing your worth, while working for clients who can pay you what you deserve. My class will teach you skills that make you uniquely suited to teach yoga to beginner students in an office setting. Imagine if you had the courage to seek out clients- and knew exactly what to say to get them to hire you. Imagine if someone gave you a roadmap of everything you need for a successful yoga business. Imagine a life where you have finally found clients who can pay you what you deserve, working with people who see you as the highlight of their day, and knowing how to teach a class that will help them. With this class, that will no longer be a dream- make it your reality! What do you get with this class? 24/7 Lifetime Access to the online teaching portal. You’ll be able to take this course at your own pace, whenever it’s most convenient for you! Access to an exclusive Facebook Group with students just like you! Someone with yoga certification, with some experience teaching. Help you seek out clients and know exactly what to say to them. Include templates for digital media that will get clients coming to YOU! As if all this wasn’t enough, by enrolling in this course you’ll also receive these bonuses! The first five people to sign up for this course will receive 3 one-hour coaching sessions within 6 months of completing the course! Do you want to keep working for free, trying to get low paying jobs at studios and gyms? Will you go back to your old job because you couldn’t figure out how to make a living as a yoga teacher? Or, do you want the confidence to run your own successful business? To have the freedom to create a schedule that works for you, financial stability, and a voice in a growing market? Do you finally have the courage to live the life you want? Take the course NOW to start 2018 on the right foot! Learn how to teach office yoga! The over saturated market conditions of yoga studios make it hard to make a living teaching yoga. You can make 5x+ over typical studio rates teaching office yoga if you get the clients yourself, and about double if you work for another company. Flexible schedule: You choose when you work, and you're not limited to studio's popular times. More time for yourself: With more pay for fewer hours, you'll actually have time to practice yoga, and enjoy life. A regular contributor for the Huffington Post, Lauren Coles is the Founder and Lead Educator at Daisy Yoga, New York City's first office yoga company. Author of Teaching Office Yoga, Lauren's method is unique - the first and only Office Yoga Curriculum backed by medical research, designed to work specifically in offices. Developed by Lauren Coles and Christina Ferwerda, who both hold Master's Degrees in Education and together have over 20 years of teaching experience, we want to teach you how to improve office worker's lives, and make a living doing it. Previously a work-life balance counselor at a benefits company on Wall Street, Lauren was first certified to teach yoga in 2007. She spent five years working as a special education and yoga teacher at a public high school in New York City. Her office yoga method is inspired by adaptive yoga for people with disabilities. We offer one-on-one coaching, digital training, and more! Thanks for your interest in teaching office yoga! We will send you an email when enrollment starts. Several of our graduates have gone on to start their own companies in Silicon Valley, CA, Seattle, WA, Las Vegas, NV, and Raleigh, NC. Unlike any other program, we aim to give you the skills to build an online presence, and may even refer you to potential clients in your area. By joining our network of teachers, fondly known as YOGIA (Yoga in the Office Guides and Instructors Association), you'll have support and advice from other leaders in the office yoga industry. The office wellness industry is a small and friendly place! We have connections to office wellness companies big and small, that could benefit from your services. Working for an existing company is a great way to jump into teaching office yoga. Many companies hire on-site meditation and yoga instructors for their wellness and fitness centers. There are wellness coordinator positions available at many large companies. The knowledge you will gain about the benefits of corporate wellness could help you have the edge for these kinds of positions. Sign up for coaching with Lauren to help you build your business. Together, you will find your niche in your city's market and help you start something great! Enroll in the e-course. Our digital office yoga teacher training includes valuable research, a training video, and assignments to help you build your personal brand as an office yoga teacher.